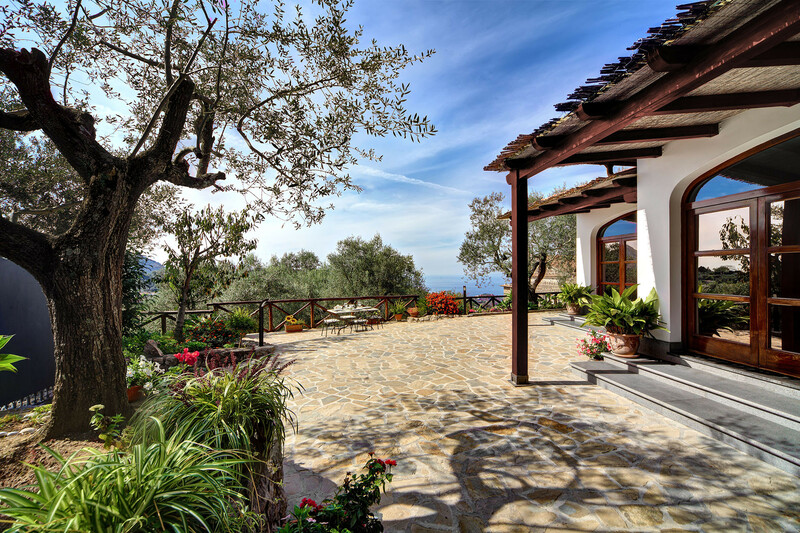 A detached single-storey villa, Tulipano stands high on the sweeping hillsides of Massa Lubrense, perched above the spectacular coastline of the Sorrentine Peninsula. 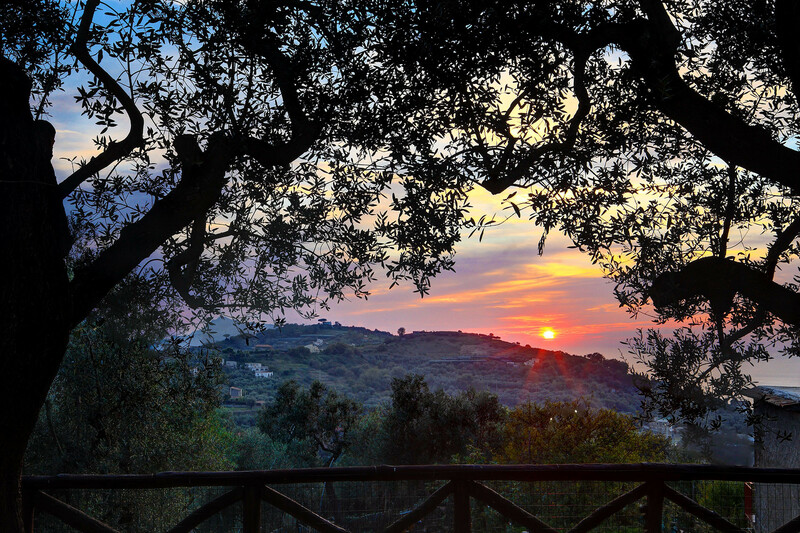 Blessed with sunshine throughout the day, Tulipano is surrounded by ancient olive trees, fragrant lemon trees and traditional vineyards. The location offers a wonderfully peaceful escape from everyday life, far from the hustle and bustle of traffic. 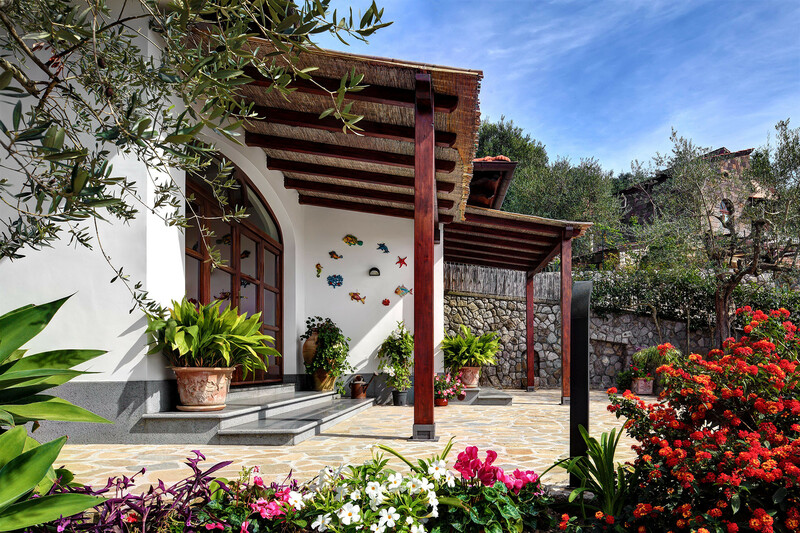 A car is required for your stay and there is a private parking space next to the villa. The attractive town of Sant’Agata is just 3km away. 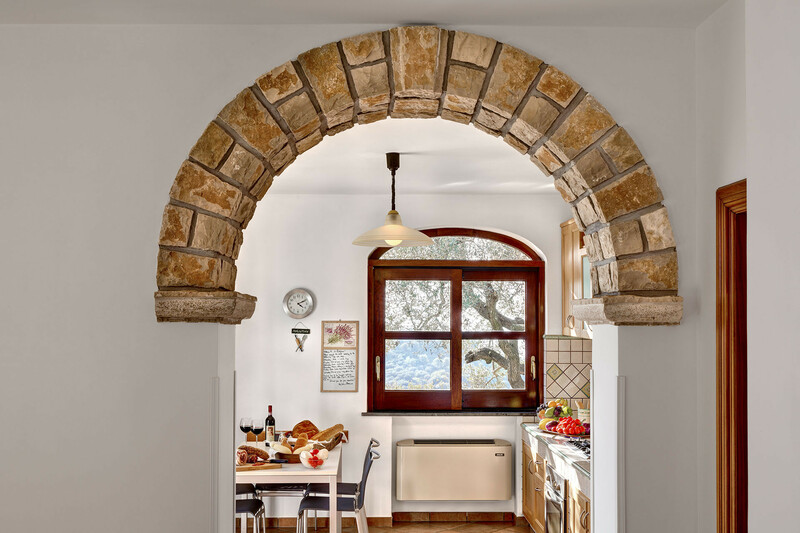 Here you will find several family-run restaurants, gelaterias, fresh pasta shops, fruit and vegetable stores, mini-markets, bakeries, butchers and fishmongers, coffee bars and pubs. Lovers of history will appreciate the Monastery of Deserto and the archaeological ruins. If you enjoy walking, Tulipano is in the ideal spot to join one of the many trails of the Sorrento Peninsula, many of which have jaw-dropping coastal views. Or why not visit the popular harbour of Marina del Cantone, 6km away, where you can eat in one of the renowned restaurants, sunbathe on the beach, book a diving lesson, or take a boat trip to Capri, Positano or Amalfi? 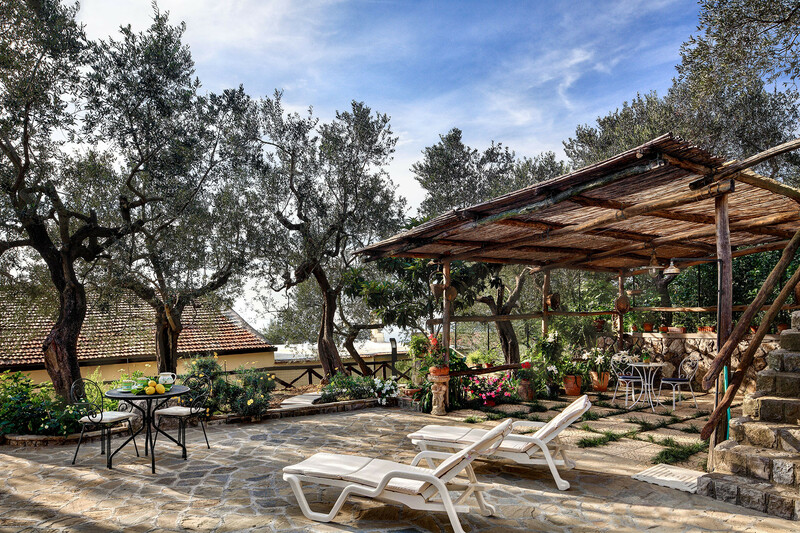 The villa is surrounded by a large paved outdoor area, furnished with sun loungers. With a barbeque and a dining table for four, you will be able to enjoy mealtimes al fresco. 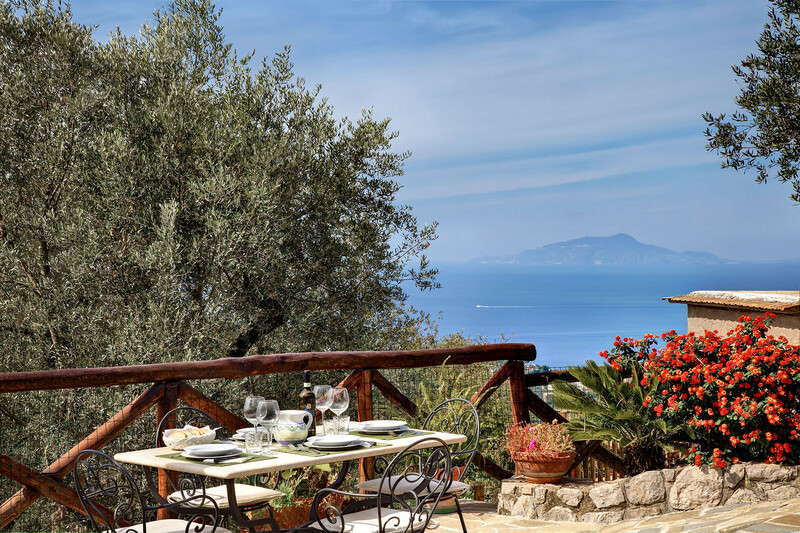 The views are lovely, with the blue of the Gulf of Naples framed on each side by green treetops and russet rooftops. 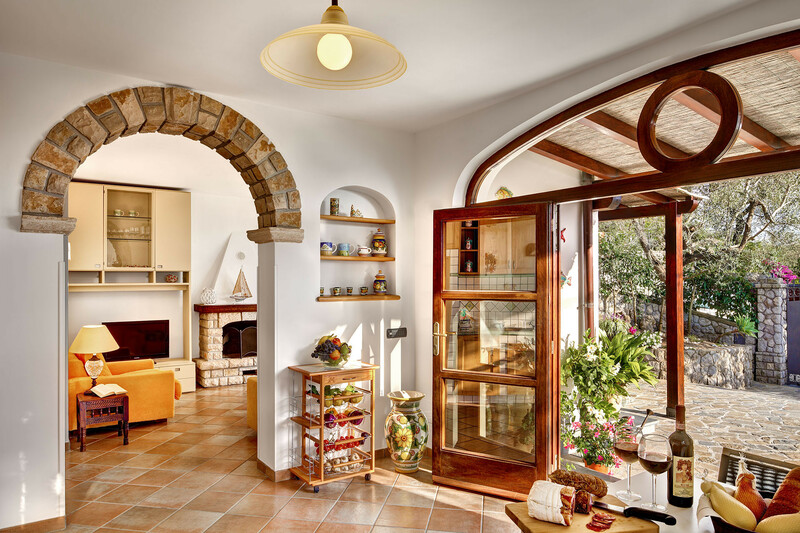 Moving inside, Tulipano measures approximately 90 m² and feels light and spacious throughout. 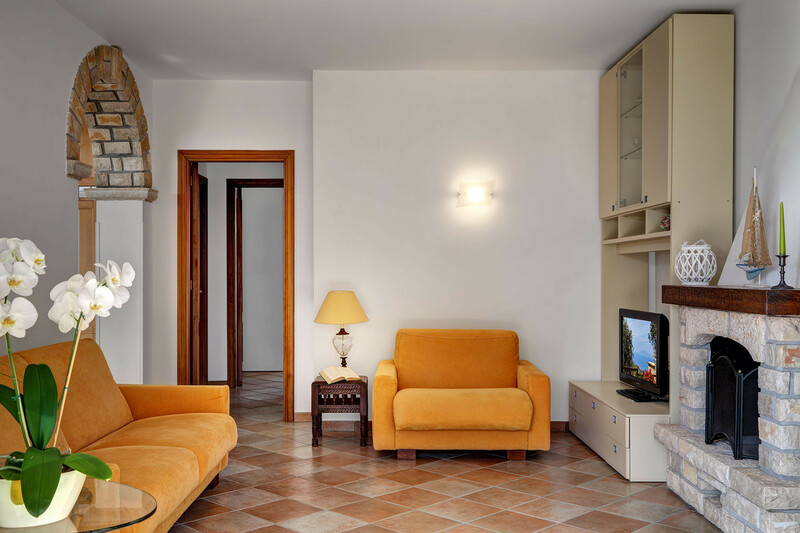 The décor is simple and stylish, with white walls and tiled flooring. There is an internet Wifi connection. The cosy living room has brickwork archways and a fireplace, plus a flat screen television with DVD player and a CD player. Chill out on the large comfortable sofa with family or friends as you chat or watch a film. 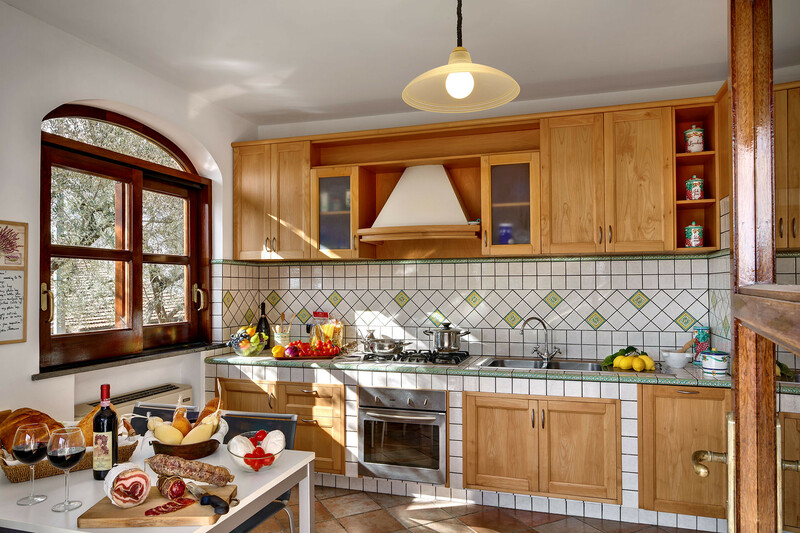 The large kitchen has traditional wooden cupboards with tiled surrounds and offers everything you will need to create delicious meals from the plentiful local produce. There is a gas hob, oven, fridge freezer, dishwasher, microwave, kettle, toaster and Mocha coffee maker. The washing machine is in a separate laundry room, with ironing board and iron. 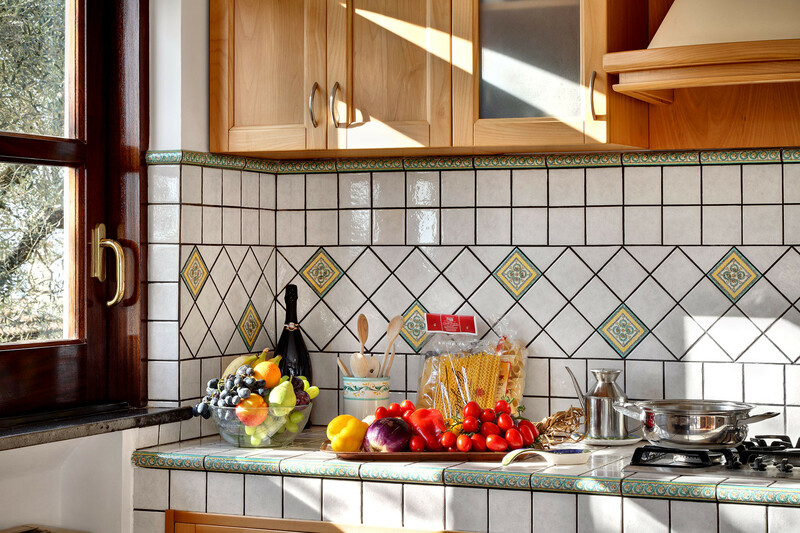 From the kitchen, a door leads out to the garden, making it easy to dine outside when you choose to do so. Alternatively, there is a table for four within the kitchen. 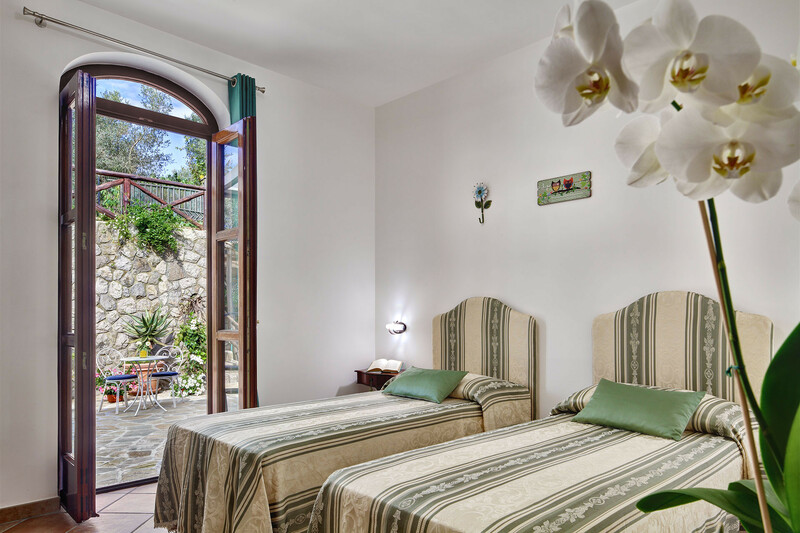 There are two bedrooms, both comfortable and attractively furnished, one with a double bed and the second with twin beds. 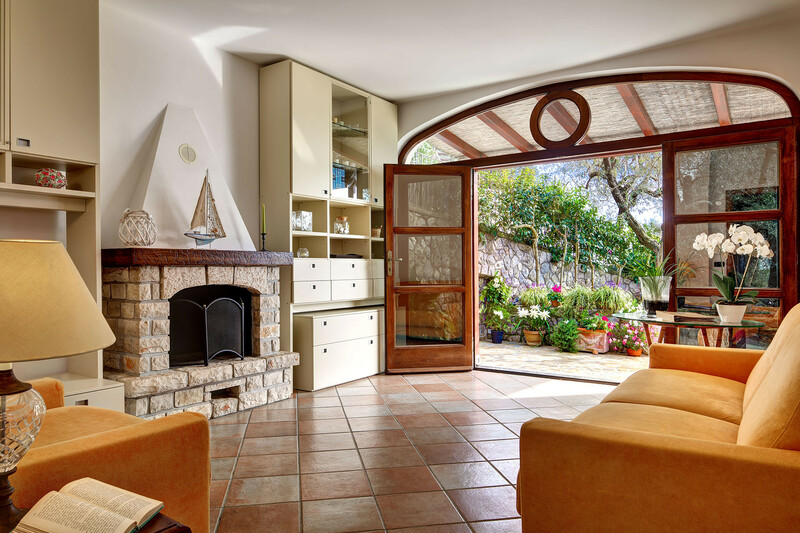 Both have a door out onto the garden, so you can stroll outside upon awakening and breathe in the fresh coastal air. 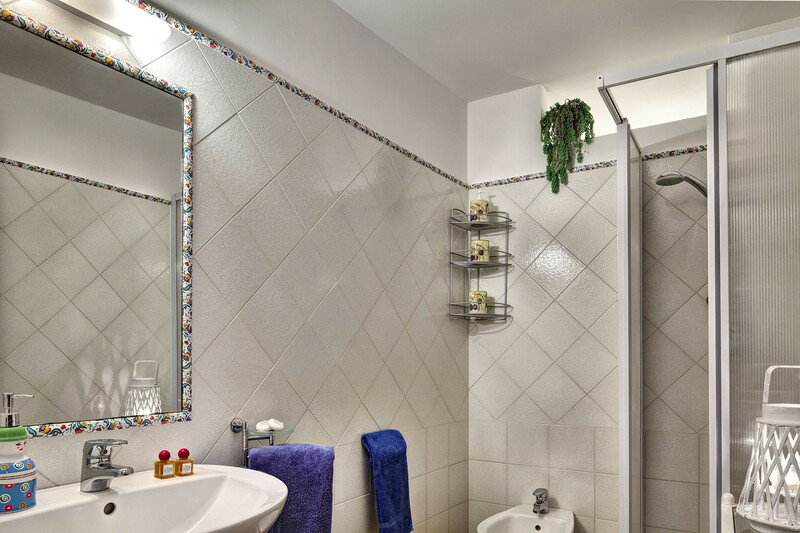 The two bathrooms are modern and well-equipped, one with a shower cubicle and the other with a bath tub, with shower over. Both have a wash basin, toilet, bidet and hairdryer. 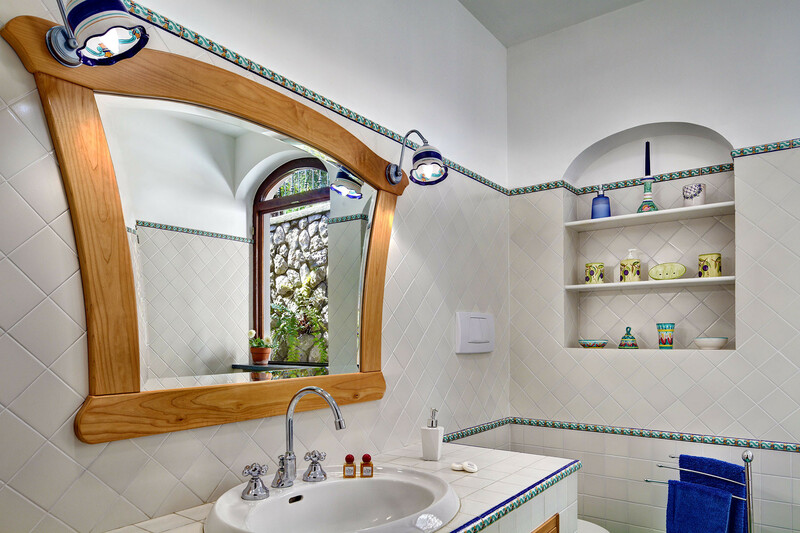 The access to the smaller bathroom is from the garden area. 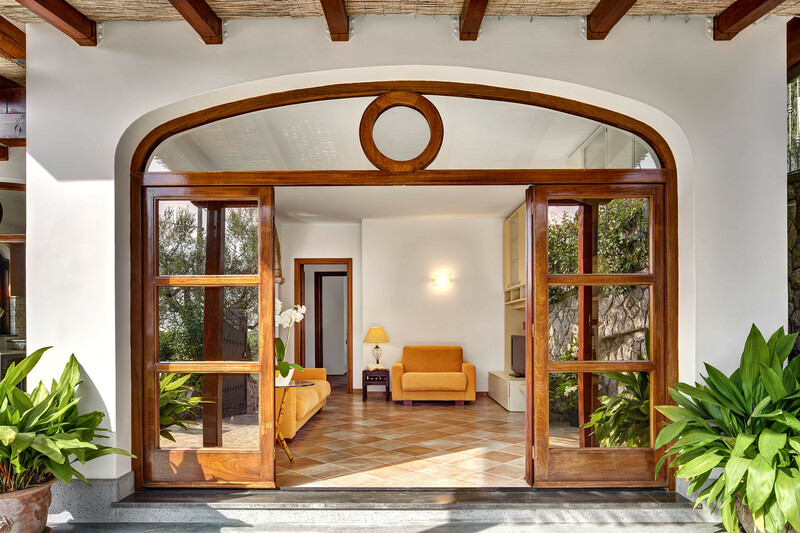 Tulipano has a final cleaning charge, to be paid at the time of booking, totalling € 75. 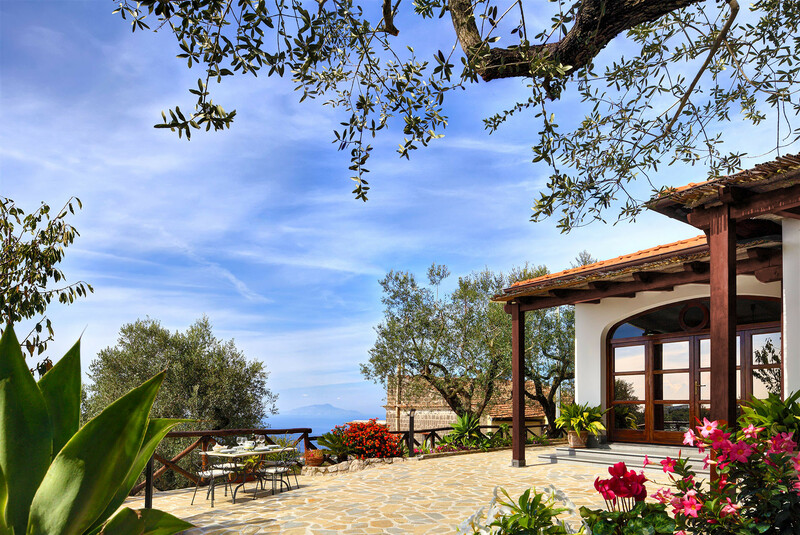 We also ask for a deposit of € 200 to be paid in Euros on arrival, to be fully refunded on departure subject to the satisfactory condition of the villa. As a tranquil escape from a busy everyday life, Tulipano cannot be beaten. 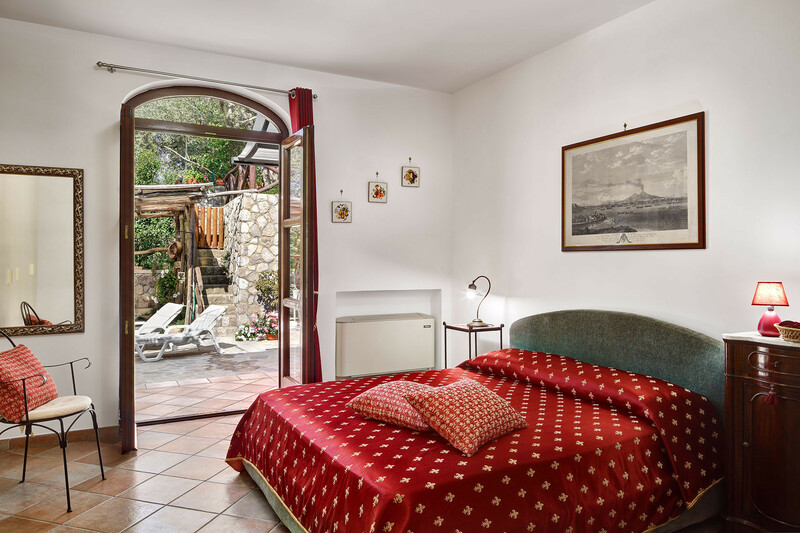 Whether used as a base to explore the attractions of the Sorrento Peninsula, or as a bolthole in which to relax, you will return home having enjoyed every minute of your holiday. 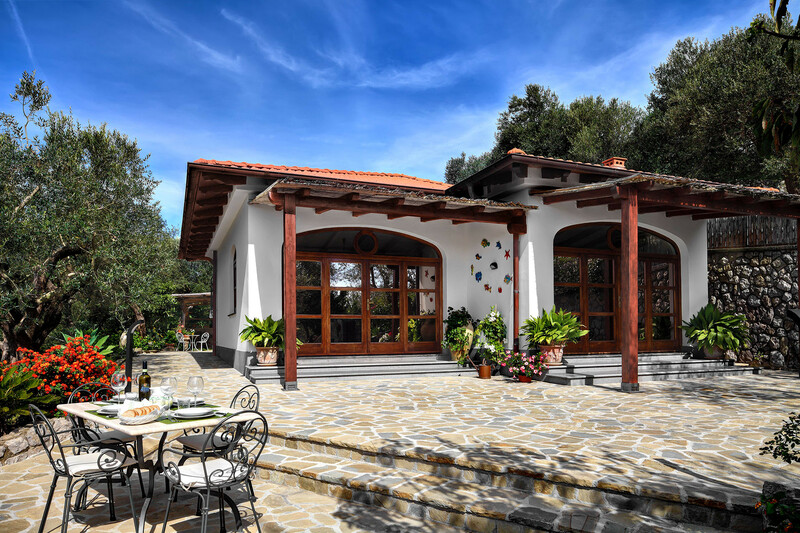 1 TV, TV Satellite (Languages: Spanish, English, German, Dutch, French, Russian, Swedish, Norwegian), garden, garden furniture, barbecue, iron, safe, internet (Wi-Fi), hair dryer, 90 m² property, 180 m² plot, pet-friendly (Dangerous breed dogs not allowed), single boiler on gas, air-conditioned, Open-air parking in the same building. Thank you for amazing stay! Such an amazing place! The views are great, the home is as good, if not better than the pictures! Location wise it is amazing, close to the local store and restaurant and very quiet!